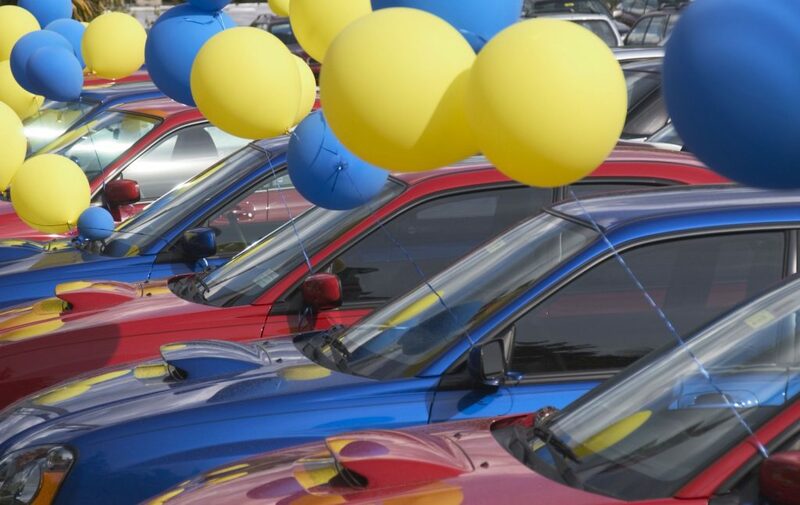 When you are looking for a safe but affordable cars, financing may seem impossible. Get the best auto loans AZ has to offer at Tio Rico. When choosing a car for a new teenage driver, safety is the number one priority. For most families in Arizona, it is unrealistic to buy yourself, let alone a teenager, a brand new car. It may seem impossible to get the most out of a vehicle’s safety features though, without paying an exorbitant amount of money. That is simply not the case. There are plenty of cars on the market that are both affordable and fulfill the safety criteria. Here are the features to look for: electronic stability control (ESC), air bags, and car size. You want to find a vehicle with ESC because this effective safety feature helps to prevent drivers from spinning out or rolling over in emergency situations. A car with ESC will also have traction control and anti-lock brakes installed which will also help with unexpected weather and fast stops. The next safety feature to be aware of is the air bags. In 1999, it became mandatory for any car with ESC to also have curtain airbags and front airbags– and we don’t think you will have to buy a car that old to find a safe and affordable option. The last safety feature to look for is actually the weight and size of the car. For new drivers, mid-sized sedans are a great choice for a number of reasons. If the car is too large, expect parking lot scrapes. Another reason to buy a sedan, is sedan’s center of gravity offers better stability in case of an emergency maneuver. Below is a list of a few of our favorite car models that meet the above criteria. 1. Ford Focus– This is the classic first time drivers’ car, and for a good reason. This car gets great gas mileage at up to 29 mpg (stick shifts get more gas mileage) and is typically very reasonably priced. The upright driving seating position may help teens plan ahead by giving them a good view down the road, while the roomy cabin makes access easy and gives plenty of room for two in the backseat. The Focus may not be as sleek or as much of a quiet ride as some of the other cars listed here, but it still a great car. 2. Hyundai Sonata– The Hyundai Sonata is actually a luxurious mid-size sedan with a comfortable interior and quiet ride. The front seats are soft and the backseat will hold three across. The controls are minimal and simple to use, allowing the driver to focus on the road instead of all the features that typically come with luxury cars. Great overall gas mileage at 26 mpg overall. 3. Chevy Malibu– The Chevy Malibu is a comfortable mid-size car with a four-cylinder engine and it gets a pretty good 25 mpg overall. This understated car is a quiet ride, handling feels responsive, and has a stylish interior. The controls are very straightforward, which is good for people learning the basics of driving. This car is a good option for both taller or shorter teen drivers because the pedals and the steering wheel adjust for reach. 4. Mazda3– The Mazda3 is safe, responsive to drive and fuel efficient at an impressive 32 mpg (if you get the Mazda’s Skyactiv engine and transmission). Depending on what you are looking for, you can get leather interior, navigation features, and basic Bluetooth phone pairing. This vehicle is great for teenagers because of its responsive handling and tidy size, which make it easy to get out of trouble. Once you find a safe car for your teen driver, you might want to consider auto financing. At Auto Action, we offer the best auto loans AZ has available, whether you have good credit, bad credit, or no credit history. Our goal is to make sure you have the car you want and the financing you need. Stop by one of our greater Phoenix locations or begin the process online. We would be happy to help you and your new driver find a safe and affordable car.